Where would crime fiction be without all the murders, eh? Those dead bodies turning up don’t just give our rugged detective heroes a reason to get out of bed, they also serve as a catalyst, in one way or another, for a destructive journey to hell for those most alluring of fictional characters – the killers themselves. Whether it’s shrewd spies, hardened PIs, cocky mobsters, vile serial killers, ice-cool marksmen, good guys caught in the wrong place at the wrong time or outright psychos, captivating killers keep us turning the page. So here’s a quick rundown of my most fascinating fictional killers – taken from an assortment of works from classic crime novels and gritty noir cynicism to an eclectic range of modern thrillers. Okay then, let’s start off with a biggie. Thomas Harris went long and deep to create a truly three-dimensional character here, with Lecter’s backstory, charisma, intelligence, passion and repulsive scope of evil feeling utterly convincing every time you read any of the four novels he features in. The various screen portrayals of the main man, from the chilling Anthony Hopkins to the enthralling Mads Mikkelsen, have only added to the legend. One of the greats of modern noir, Forsythe is the hero – or anti-hero – of Adrian McKinty’s trilogy of books Dead I Well May Be, The Dead Yard and The Bloomsday Dead. We first meet him as a young illegal immigrant working for a New York crime boss, having fled the Troubles in his native Belfast. But through a series of ruthless double-crosses, global-wide revenge missions and cruel heartbreaks, Forsythe grows up fast. His cunning, coolness and bravery (not many can survive having a foot amputated in a Mexican jungle), not to mention his razor-sharp survival instincts, make him one of the most fascinating protagonists ever created. 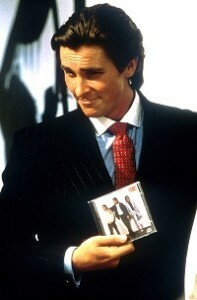 Horrifying, shocking… and ultimately transfixing, in American Psycho Bret Easton Ellis introduced us to one of the most brutal and bizarre serial killers of all time – as well as providing an effective social commentary on life amongst New York’s wealthy executive elite in the 1980s. Bateman is one sick, frenzied dude – a sadistic monster in a designer suit in fact – and it all makes for gripping reading. Immortalised by Michael Caine in the film Get Carter, Jack Carter was the creation of Lincolnshire author Ted Lewis, first appearing in the 1970 British noir novel Jack’s Return Home and later featuring in two prequel novels. Carter leaps out of these stark books that wonderfully depict criminal life and attitudes to respectability within a hardened sub-section of society in the north of England. An uncompromising mob enforcer seeking revenge for his brother’s murder, Carter’s style is swift and merciless – and we’re with him every step of the way. They don’t make ‘em like that anymore. Jim Thompson’s 1952 novel The Killer Inside Me is still talked about today as one of the finest literary examples of a warped mind constructed in the first person. Lou Ford, a 29-year-old deputy sheriff in a small Texas town, does an impeccable job of presenting himself as a regular, unremarkable cop to the locals. Impeccable because beneath that façade he’s an absolute nutcase – a depraved sociopath with sadistic sexual leanings who can’t stop killing people in order to cover his tracks. One of the most skilled snipers in fiction, the unnamed English professional assassin codenamed ‘The Jackal’ – hired by French right-wing militant group OAS to kill Charles de Gaulle – was the most riveting component of Frederick Forsyth’s 1971 novel The Day of the Jackal. Skilfully woven by Forsyth, who keeps the assassin’s background intriguingly sketchy, the Jackal is patient, methodical, multi-lingual, not to mention tough, as effective with his bare hands as he is with a rifle. His character is explored with perfect brevity by an author who executes the ‘show don’t tell’ technique with aplomb. One of the most iconic villains in the history of fiction, Corleone grows from a youngster with an honest American dream to the head of his family’s mafia empire in Mario Puzo’s 1969 classic The Godfather. He later plays a secondary role in The Sicilian, while Al Pacino obviously took the character to legendary status in the movie trilogy. One of the most compelling factors about Corleone is that he never wanted to be a mob boss in the first place, wanting to lead a simple life with his girlfriend, Kay, but destiny took him to the big gig and in turn gave him a tragic hero appeal. The frightening first-person protagonist of James Ellroy’s introspective thriller Killer on the Road (initially published in America as Silent Terror in 1986), Plunkett is a child genius who comes from a broken home and graduates from disturbing fantasist to peeping Tom to fetish burglar to schizophrenic serial killer over the course of several years. Many elements of his young adult life, especially the peeping Tom sections, are based on Ellroy’s own criminal experiences, and the unnerving intimacy of the writing results in a powerful read. The brooding, tragic, indignant, sporadically violent but ultimately tender-hearted recurring lead character of Irish author Ken Bruen’s fine hard-boiled series, Jack Taylor is a private eye who sticks up for society’s lost and beaten souls, solving mysteries with a burning sense of justice and a deft splash of human intuition. We sign off with a serial killer of a different kind – Serge Storms, the star of Tim Dorsey’s wacky satirical thrillers set in Florida. Inspired by fellow Florida-based comic writer Carl Hiaasen, Dorsey launched his Serge Storms series in 1999 and if you haven’t already it’s well worth joining the ride. Serge, who has been diagnosed with several mental illnesses, bursts into a fit of rage whenever he sees people abuse what he is intensely passionate about – namely the environmental backdrop of his beloved Florida – and promptly dispatches his scrupulous sense of justice. An impulsive vigilante, he commits several creative and intricate murders, many of his victims being disrespectful lowlife criminals, making him one of the most flawed but magnetic murderous character around.